Situated on the cliffs at Highcliffe at the Eastern boundary of Christchurch is Highcliffe Castle1, which is Grade I listed building. The botanist and horticulturalist John Stuart, 3rd Earl of Bute, came to the New Forest area in the 1770’s in search of rare plants was fascinated by views of Christchurch Bay, the Isle of Wight and The Needles. He started work in 1775 on a Georgian mansion he called “High Cliff” in which to live and carry out his research. High Cliff started as a modest house but was extended in 1778 and again in 1787. 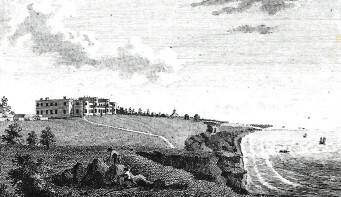 High Cliff had thirty bedrooms and a forty-foot saloon as one of the living rooms as well as libraries, a laboratory and a room for storing natural history exhibits. Lord Bute’s fourth son, later General Sir Charles Stuart, inherited High Cliff in 1792 but found the house too big and too expensive to maintain on an army salary. In 1795 Charles sold High Cliff but retained a small house and farm at Bure, near Mudeford, which he had bought three years earlier. High Cliff was purchased by a London Chancery Court Official of Dutch descent, Gerard Levinge van Heythuysen, who demolished the west and east wings of High Cliff. After his death in 1797 High Cliff was sold by his widow in 1799 to a London surgeon, Dr James Penleaze, who restored the centre part of the mansion after it collapsed in 1808. Springs in the ground plus sea erosion meant that the edge of the cliff was moving closer to the mansion and so the property was abandoned, demolished and a smaller house built further inland. James Penleaze died in 1819 and his wife died in 1824. General Sir Charles Stuart’s son, Charles Stuart2, the future Lord Stuart de Rothesay, was sixteen when his father sold off High Cliff. He had a successful career as a diplomat serving in Austria, Russia, and Spain before becoming a Minister in Lisbon and ultimately an Ambassador in Brussels and Paris. Honoured with a peerage in 1828 he took the title Baron Stuart de Rothesay and became Ambassador in Paris for the second time. 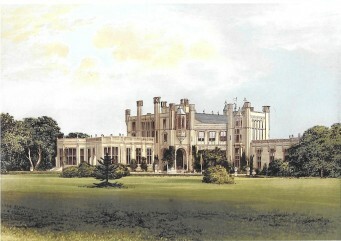 Between 1808 and 1824 he acquired in a number of parts the High Cliff estate of his grandfather Lord Bute then he built Highcliffe Castle, mainly between 1831 and 1836. It was the realisation of his fantasy. In 1841 Lord Stuart went back to diplomacy as Ambassador to Russia but ill health brought him back to Highcliffe where he died in 1845. During his periods at the Paris Embassy, Lord Stuart had become a Francophile and collector of stonework, stained glass, 18th-century French panelling, classic furniture, tapestries, paintings and books. 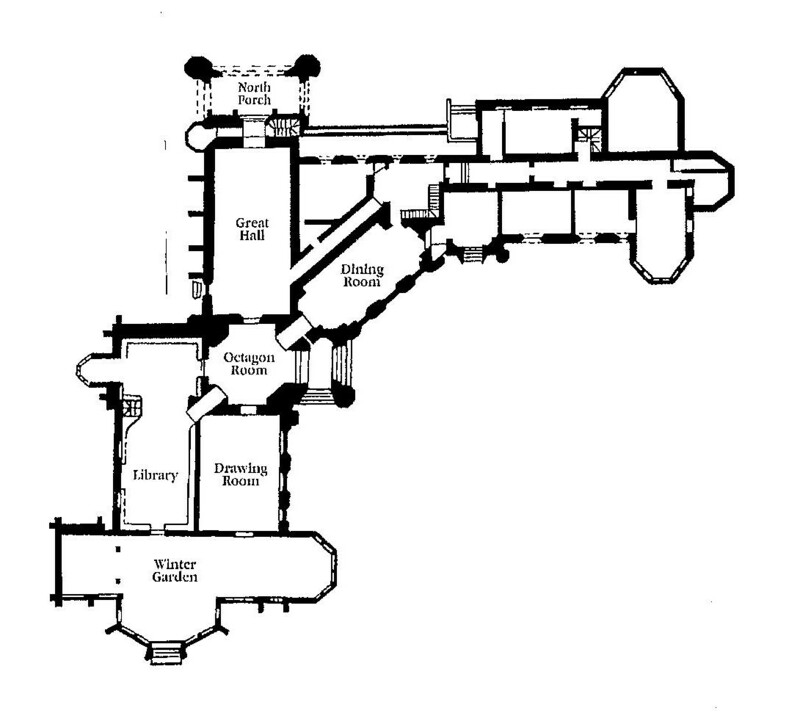 Carved stonework from the ruined Norman Benedictine Abbey at Jumieges and a Gothic mansion at Les Andelys were shipped across the Channel to build Highcliffe Castle and were incorporated into the Gothic Revival architecture. The other building stone came from the Purbeck area of Dorset, Portland and Bath. Stained glass windows, ranging from the 12th to 16th Centuries, were mainly French but some German, Swiss and Flemish and mostly of religious scenes and figures. The most spectacular is the Jesse Window of the Great Hall, which is a family tree of Jesus. Dating from 1547 the window came from St Vigor Parish Church at Rouen which was partly destroyed at the time of the French Revolution. 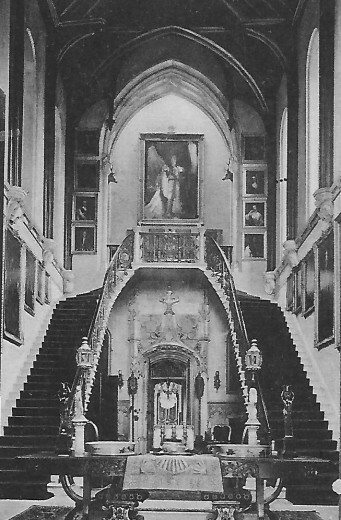 Lord Stuart’s younger daughter, Louisa, who became Lady Waterford by marriage, was a very talented amateur artist and became the chatelaine of Highcliffe Castle when her mother died in 1867. Lady Waterford was very supportive of the needy local families and significantly addressed the long-standing problem of cliff erosion by carrying out drainage works. With no children, Lady Waterford left the Castle to a distant cousin Edward Montagu Stuart Wortley, an army officer, when she died in 1891. Major-General Stuart Wortley served with distinction before World War I in Afghanistan, Egypt, Sudan and South Africa, but was sacked from front-line duties for alleged ‘lack offensive spirit’ at the Battle of the Somme in 1916. After battling in vain to clear his name, he died in 1934. 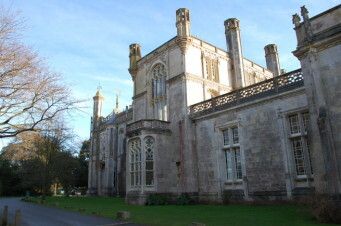 His son’s widow sold Highcliffe Castle to the Earl of Abingdon, husband of Stuart Wortley’s younger daughter Elizabeth. 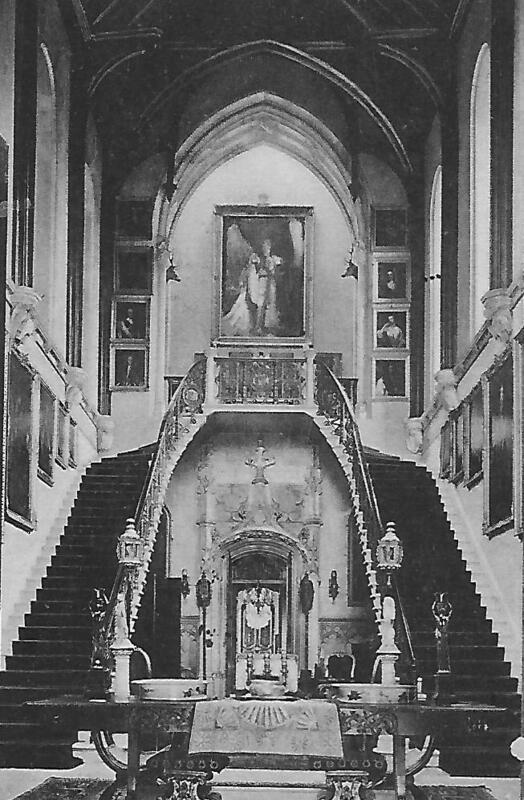 Famous visitors to Highcliffe Castle over its 180 years include six kings – one of these German Kaisser William II in 1907, ten queens, ten princes, twelve princesses, William Gladstone, Nancy Mitford and Dame Nellie Melba. 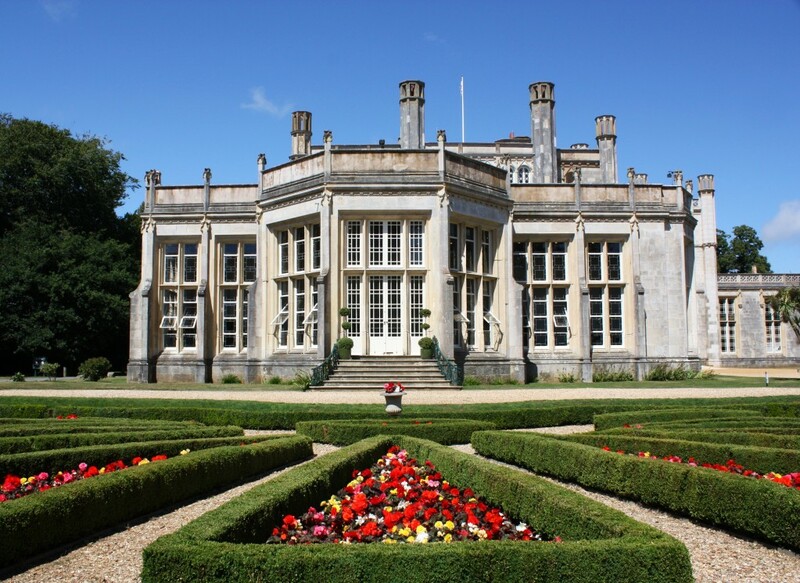 In order to raise funds to maintain Highcliffe Castle Major-General Stuart Wortley rented it out to a number of people which included from 1916 to 1922 Gordon Selfridge, the founder of the large London departmental store. 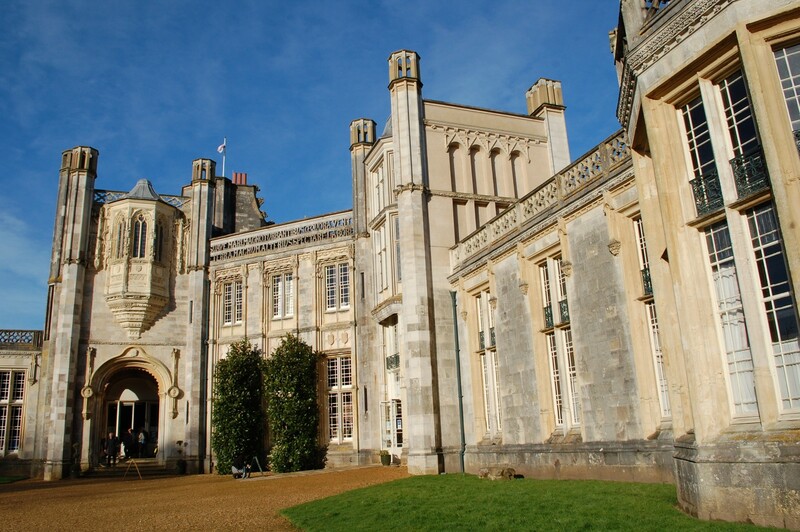 Highcliffe Castle was sold in 1950 to become a children’s convalescent home but the home closed in 1952. A developer who bought the Castle sold it on in 1953 whilst retaining a large amount of the land to build housing. It was purchased by the Roman Catholic Claretian Missionary Congregation3 to set up a training centre for the priesthood. 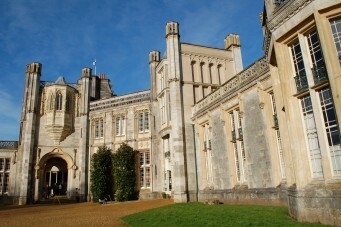 The training centre lasted thirteen years before dwindling numbers of potential priests resulted in the closure and sale of Highcliffe Castle in 1966 to three local businessmen who had plans for development. However two fires, one just before the sale was completed and another a year later left the Castle to become a ruin. In 1977 Highcliffe Castle was purchased by Christchurch Borough Council but it still stood a ruin until 1994. 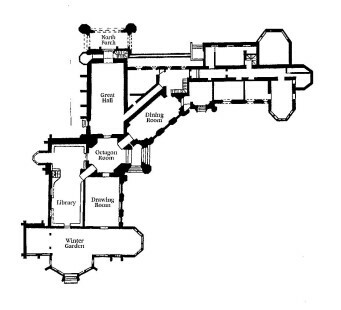 At that point a phased scheme, that is still on-going, to repair and conserve the building was started, funded by Christchurch Borough Council, English Heritage and the aid of two grants from Lottery Heritage Fund. The main aim of the latest phase is to transform the derelict interior of the East Wing into a dynamic Heritage Centre.